Will the team close its doors after only one year of existence? 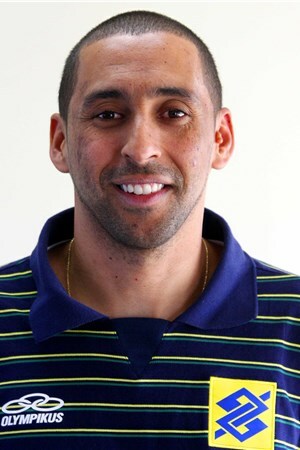 Sergio Santos is one of the best liberos in the history of volleyball. He is a two-time Olympic gold medalist and a two-time Olympic silver medalist and he finished his national team career at the 2016 Olympic Games. He represented Brazil for 15 years. Santos has had a long club career. He has played in eight different teams mostly placed in Brazil and Italy. He has won eight Brazilian Championship medals but only one gold with SESI São Paulo during the 2010-2011 season. Currently, Santos plays for Corianthians/Guarulhos. Santos is a true veteran of Team Brazil. He competed in four different Olympic Games and helped Brazil capture two golds and two silvers. Santos ended his national team career at the 2016 Olympic Games where he lead Team Brazil to victory in front of the home crowd. Santos has also been apart of two World Championship and seven World League winning teams. Santos is often considered as the best libero of all time. He was also named as the MVP and Best Libero in Rio.